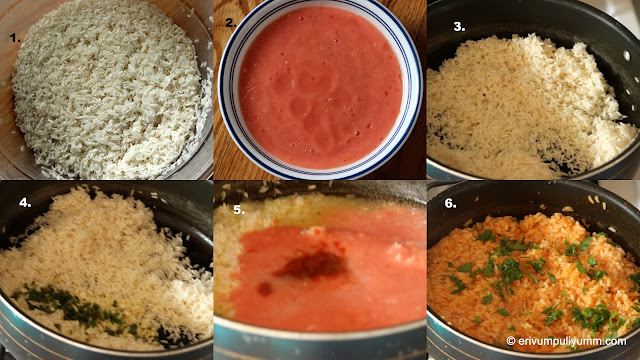 Julie the MEXICAN rice looks so fluffy, submerged in the fresh red colour of the tomatoes. Truly one does not need a side with rice tasting as delicious as this. I too prefer using fresh tomatoes and not canned ones. The taste is definitely on another level with fresh ones. We love MEXICAN food and I cook the MEXICAN green rice Arroz Verde a lot. Bookmarked your recipe. It's a must try for sure. Yummy yummy. Making it tonight; looks and sounds good! Love the presentation. It looks so yummy!